After 2 nights at Asakusa, Tokyo, I move to Matsumoto which located in Nagano Prefecture, the Central part of Japan. Since I bought 7 days JR pass which cost USD244 inclusive fedex charges to Malaysia, so today will be my first day make use of my JR pass. I bought it because I have many long distance train ride so it would be very costly if without it. Train ride from Asakusa to Matsumoto for almost 3 hours and 50 minutes can easily cost me 9,240 Yen for one way. Yup! you read it right. 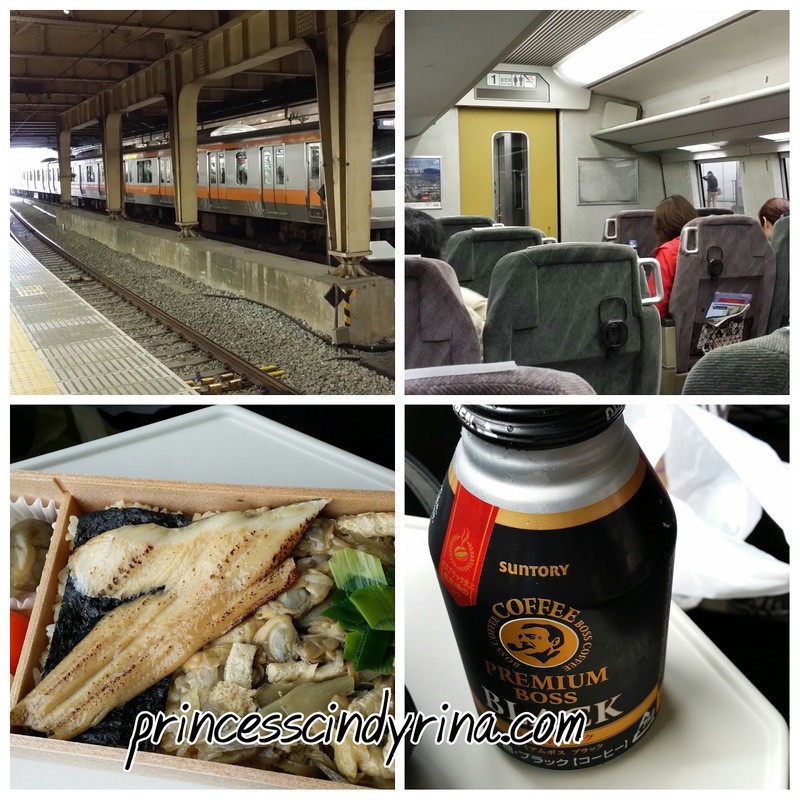 So plan well if you in Japan because transportation apart from confusing due to many lines, they can easily eating up to your budget travel. Travel like Japanese! Since it was for 3 hours plus train ride. I bought some bento from Shinjuku Station which cost me 900 yen which have clams and eels as toppings and coffee 130 yen from vending machine for my lunch while enjoying the beautiful view of country side. The view from train was super awesome due to rice field harvesting season and it was golden yellow all the way. Sorry no photo because I got dizzy if trying to snap photo from train view. I was at Matsumoto, due to this is a good place for those who plan to visit Kamikochi and Alpines Routes. This is my major place for my visit to Japan. I can't wait to share Alpines Routes beautiful view to all of you. Keep on to visit me it will come soon. 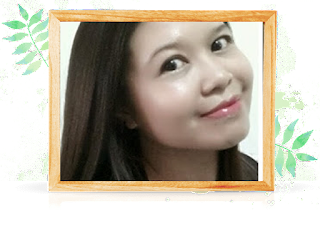 I publish entry every Monday ,Wednesday and Friday. Yeayyyyy!!!! finally I reached SOBA noodles and wasabi town! I safely arrived after 3 hours plus train ride and find my way to hotel. Since I have this habits to book hotel within walking distance to train station or transportation so it was super convenient. 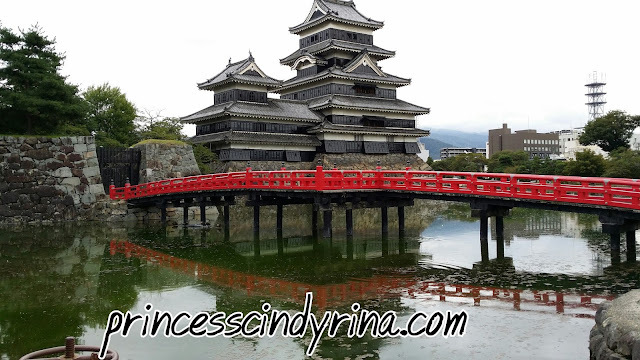 I checked in and don't waste time to head up for Matsumoto Castles which about 15-20 minutes walking distance from place I stay. I need to make use of today because I only have 2 nights here and the next day I be spending whole day doing jungle trekking at Kamikochi. 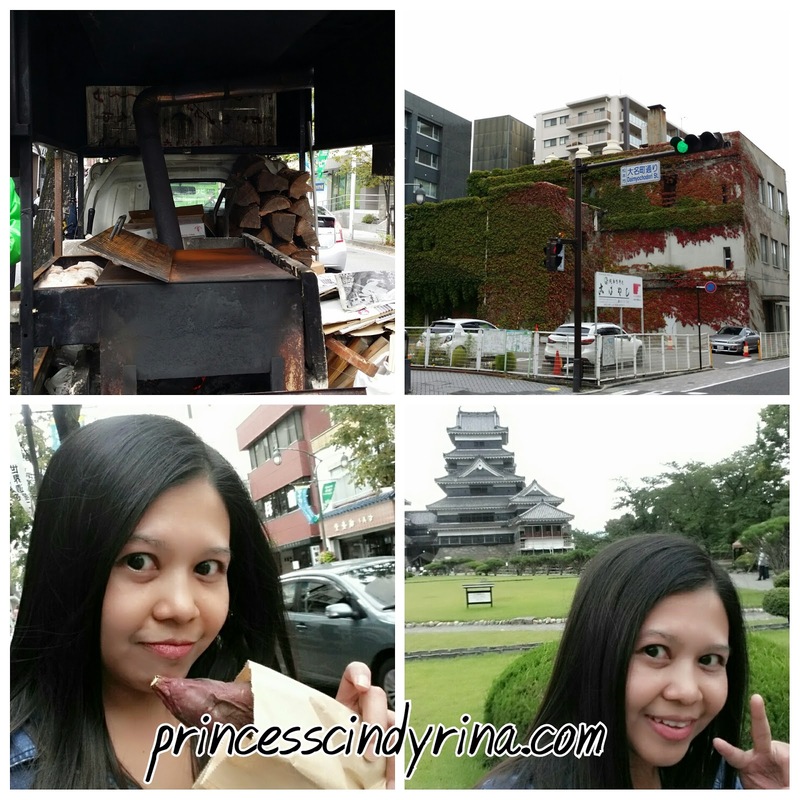 On the way walking towards the Castle found this van selling charcoal roasted sweet potato for 400 yen. I can resist this since I read its a must try. Good choice! Enjoying the roasted sweet potato while making my way to the castle. shalalalalalala...what a lovely day and I am in this sweet and peaceful town of Matsumoto. I just can't get enough of walking here since its a lovely town. Serious feel like wanna skipping like a little girl with pony tail all the way to the castle. Since I love this environment so much. Pay the entrance fees of 600 yen and was greeted with Ninja and Samurai performance. Awesome!!!!! I noticed there was tent where few Senior Citizen selling something like a Japanese traditional snacks. Gosh! do I want to miss this? Hell no! 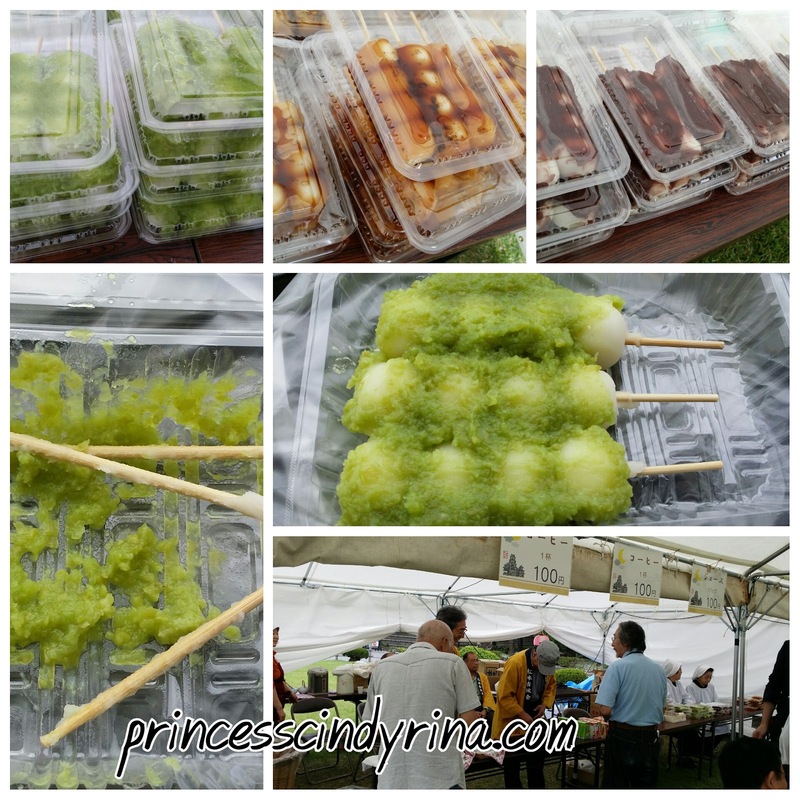 Must try Japanese snacks call Dango with 3 flavours on sales. Yeayyyy!!!! The Japanese grandmother happily said out the flavor to me in Japanese..... Edame , Soyu and Azuki. I chose Edame since this flavor I rarely find else where. One box of 3 Dangos cost met 300 Yen. 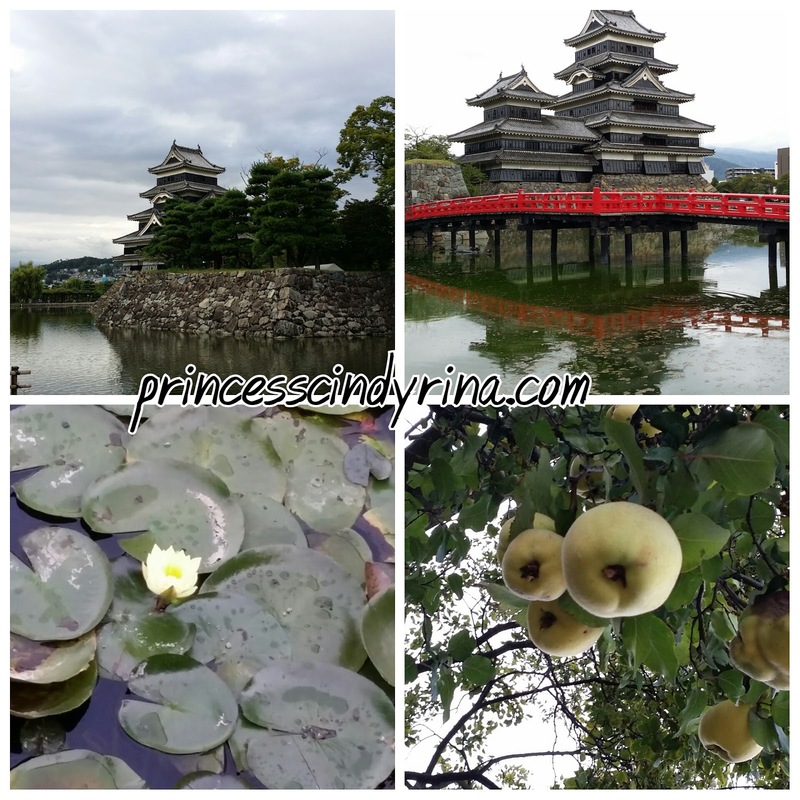 I sat at the bench while enjoying yummilicious Edame Dangos with the view of magnificent National Treasure , Matsumoto Castle. Then spent another 100 yen for hot black coffee sold by Japanese grandfather which resulted to me unable to sleep that night due to caffeine overdosed. WTH! I need to wake up early morning for Kamikochi. Uwaaaaaaaa!!!!! Watch out! panda in the loose at Kamikochi jungle. Too immersed with Dango, i end up lining up with all those people to enter the castle. Too many tour bus arrived at the same time. That was around 4:00pm. Damn! I hate lining up. But I wanna see this National Treasure for myself because I read it still containing its original wooden donjon and was built around 1593 to 1594. WTH! Must enter! must enter! You will be given plastic before enter the castle. You just need to take off shoes and put in plastic bag and carry your shoes around in the castle. This is a practice in any Japanese Castle. 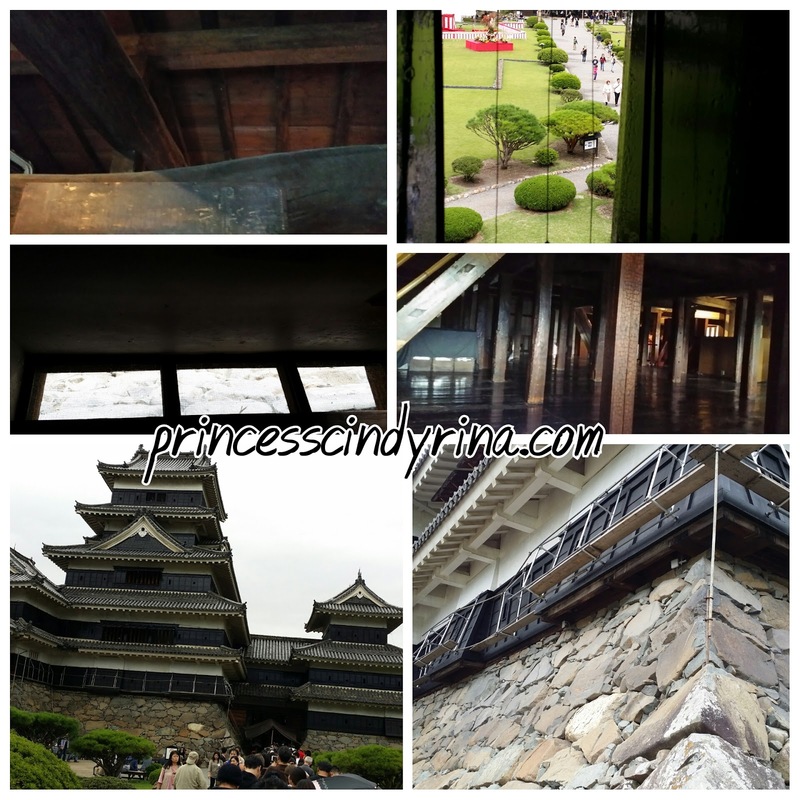 I did the same at Kanazawa Castle too which will the post will be almost at the end of my trip post. You see the small window? That one for archery. There are hole where they can drop rocks to kill enemy who trying to climb the castle wall too. When I was inside , can't help but keep imagine the light movement of ninja climbing on roof pillars. The staircase...WTH! so small so steep. Seriously , big test to my weak knee. Did I climbed up? Of course! why do I wanna miss this after travelling all the way? 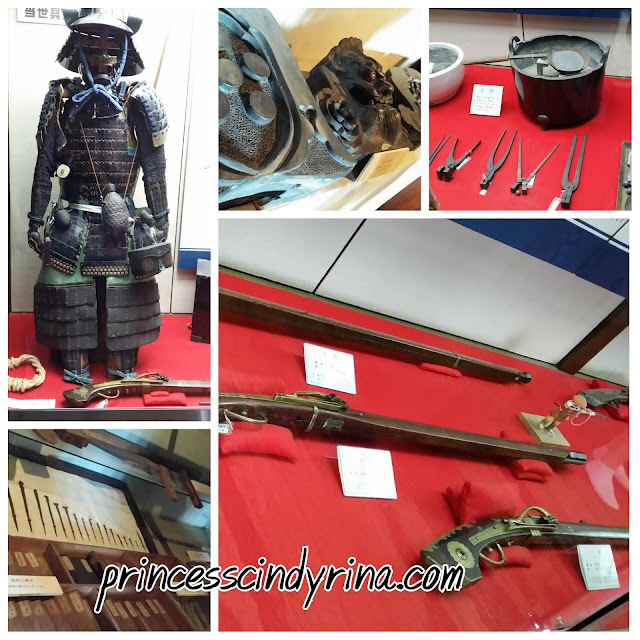 I was so amazed with the advance of their weapon which was on display according to era. Tired walking in the castle, I walk out to enjoy the nice view of park within the castle area. Enjoying my afternoon and settle with ume triangle rice which I bought from convenient store at Tokyo this morning. Well prepared! I told you I never go hungry here in Japan. I then made my way back to hotel before it get dark since I still confuse with my way back. I can afford to waste my energy to find my way back to hotel. More walking tomorrow! One the way back , can't help to fall in love with this town again and again. WTH! 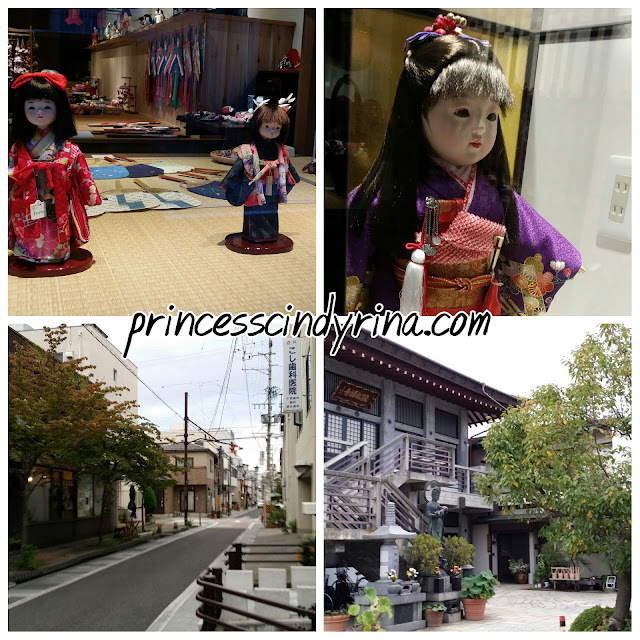 Since Matsumoto as castle town has thrived around the castle for the centuries, there are so many old buildings and rows of houses which ake one imagine what was Japan like years ago. 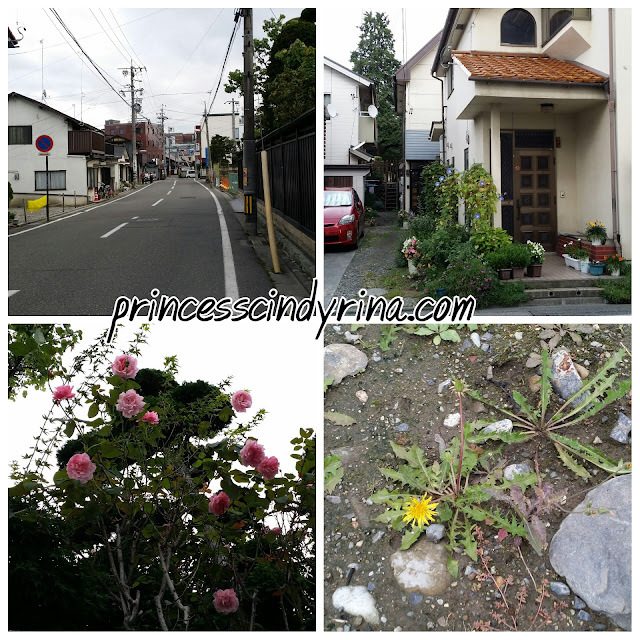 I end up myself at Nawate Street , which was a boarder between the samurai residences and commoner residences in edo era. 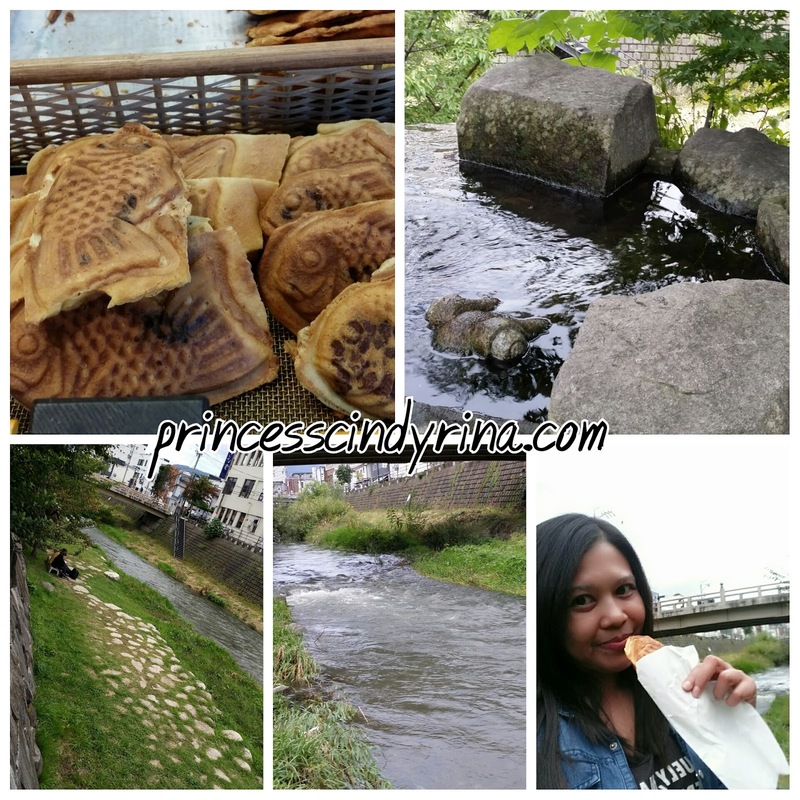 Bought Azuki Taiyaki for 130 Yen and enjoy beside nearby stream. 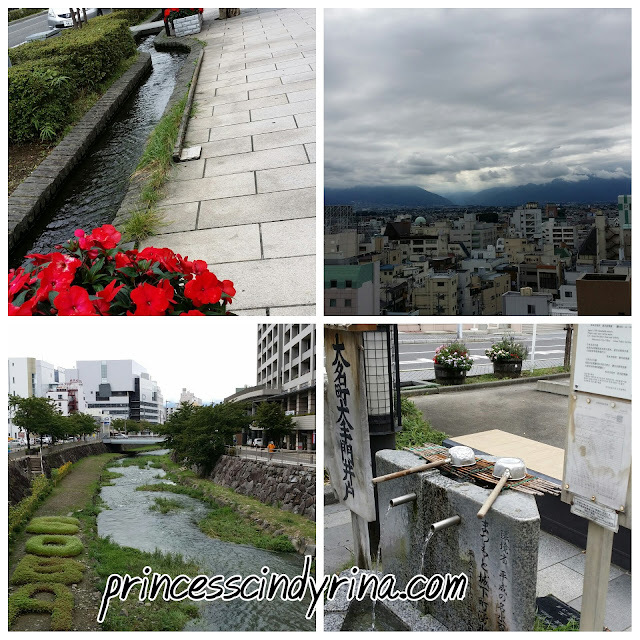 The mountains surrounding Matsumoto are source of the excellent water that bubbles from many natural springs around the city. I never need to buy mineral water or even boil water here. I just filled my drinking bottle at nearby spring and I am still healthy walking around town and survive my 10 days in Japan. 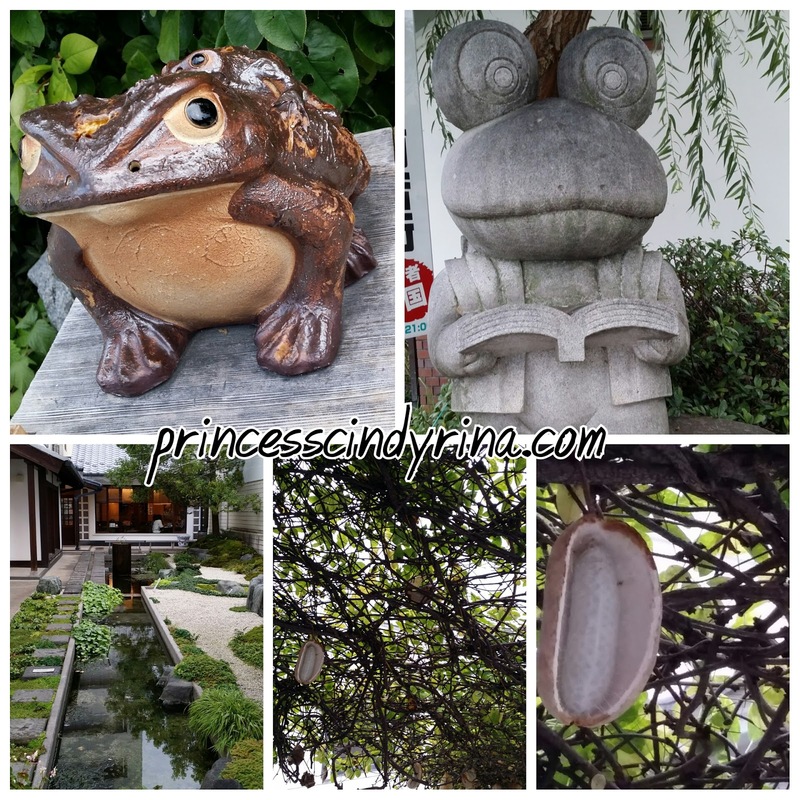 There is legend behind that frog figurines around Nawate Street. After Nawate Street, one easily can stumble upon Nakamachi where many buildings with white and black walls know as 'kura' (earthen walled store houses). Many now has been converted into Cafes , Izakayas or souvenir shops. My first day and night at Matsumoto end here. I went back hotel counting sheep until morning. I woke up at 5am to catch first train 6:27 am the next morning to Kamikochi. Aiyorrr...I so admire how clean and beautiful the place looks! nice sharing. 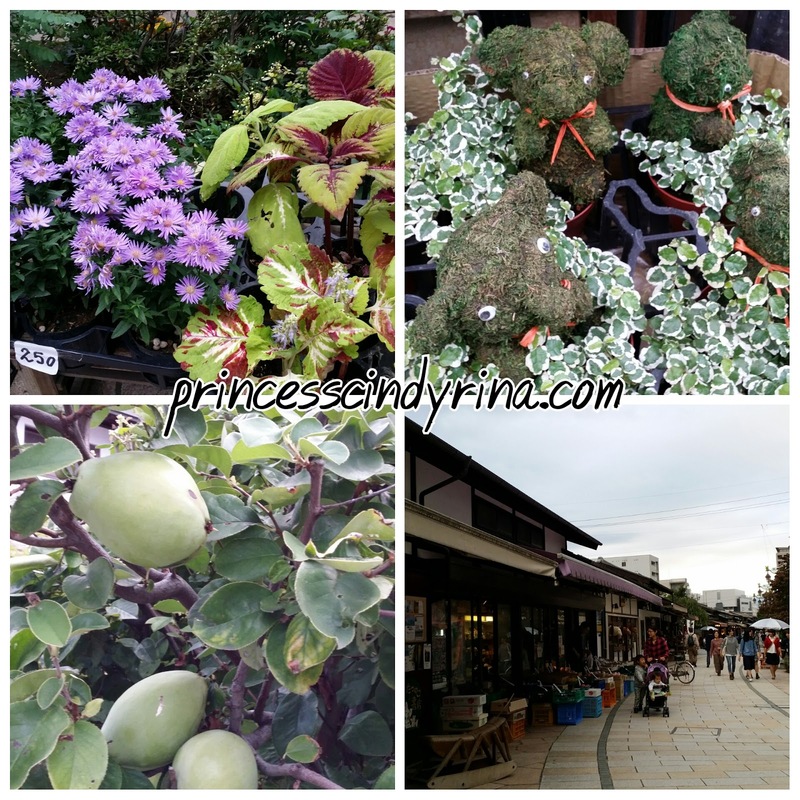 next time if visit japan sure visit back ur blog for japan travel guide.thx alot!! The samurai so nice. I really wish I got the change to Japan. safe money now.. Not cheap if really want to visit Japan. wow! i miss Japan, just went to Kyoto and Tokyo during Hari Raya. Food very fresh and delicious, and i like to shop thier pharmacy, price are cheaper than Malaysia.... hahahaha! Wow looks like transportation can really cost a bomb! But i think it is worth the value coz you get to enjoy such beautiful place! The town was so unique. A great place for me to explore next year. I nak juga pergi jepUn Still in the wishlist.. maybe next Yer after baby delivery and the baby 6 months nanti macam best je !! I can see fresh air through your photos!!! Can feel it. hahaha! aand transportation really very very expensive. But then, it's okay. coz the place worth it. Lucky you get to visit all these beautiful castle. Getting a rail pass is seriously a good idea. I like to use it particularly when I am new and have a bigger chance to riding in the wrong trains. I have always dream of being a ninja. Awesome place. I wish to visit :) . Thanks for sharing. Would like to travel to Japan next time T.T Love the environment so much dear! Should I visit here too when I visit Japan? 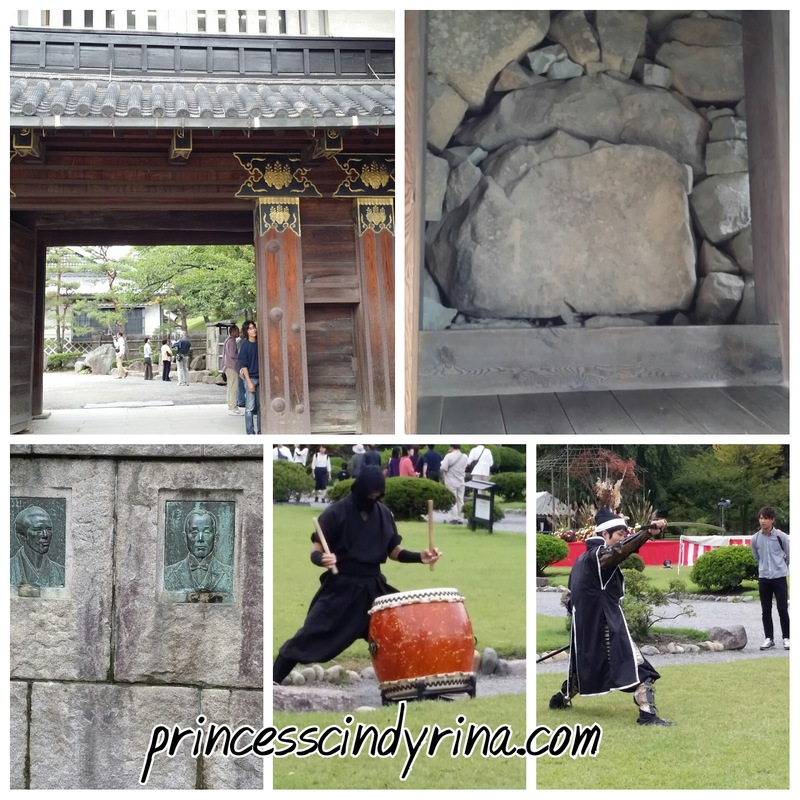 Looks like a nice and memorable place to see back ninja and samurai XD Did you travelling alone ah? The castle town is look gorgeous! And you look pretty in picture with the view! 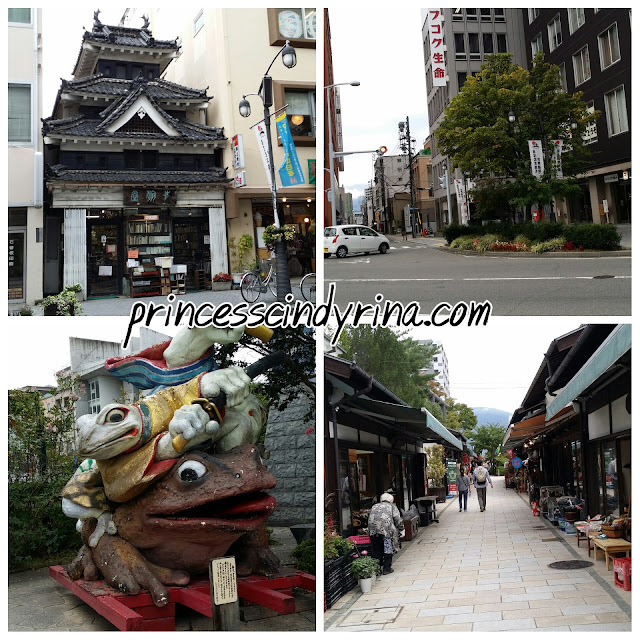 soba and wasabi town? hehe, cute. Nice place. Thanks for sharing. Japan always in my list . So lucky you got to go to Japan. Nice spot too. Woah, it looks exactly what I imagine Japan to be: demure, quiet and gorgeous. To a certain extent, I'm really grateful that tourists and media left places like this alone. Or else, places as gorgeous as this wouldn't really exist anymore.